The 25th RIAD Congress took place in Brussels on the 8th and 9th October 2015. The event focused on how Alternative and Online Dispute Resolution (ADR & ODR) will challenge existing means of redress, raising questions around the future of the classical judicial systems and prompting thought on what opportunities ADR and ODR might present to the legal protection insurers' industry. New rules concerning how consumers and traders are able to settle disputes in Europe will come into force during 2015. On the upside, ADR and ODR offer better and more equitable access to law and justice, delivering greater transparency, trust and confidence, and in doing so, have the potential to transform client-trader relationships and boost trade globally, in particular cross-border trade. As with any new approach to redress, there remain questions as to the practical implementation of the new rules, particularly the introduction of the European ODR platform in 2016. What are the new rules and what do they mean for legal protection insurers? 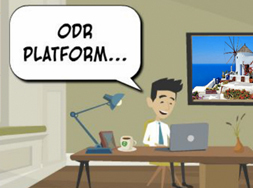 How can ODR become a business opportunity for the legal protection insurers' industry? What tools and experience are available to the legal protection insurers' industry in order to deliver more efficient redress? If you are interested in finding out more please contact Antje Fedderke, Secretary General of RIAD on +32 (0) 2 732 36 28. You can also contact the event organisers Forum Europe. The point of contact here is Rhian Morgan and you should call +44 (0) 2920 783 026.